A late blooming thriller. 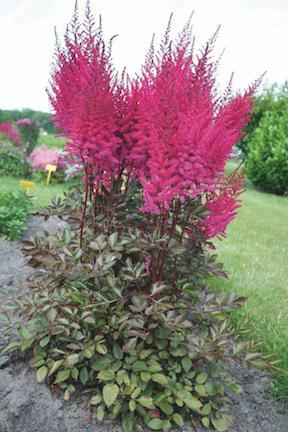 Huge cherry colored plumes above dark chocolate ferny foliage. Use as a cut flower or stand back and enjoy.